← Why I LOVE my foam roller! Why Alkalize? An acidic body is a diseased body. The pH level of human blood is between 7.35 & 7.45 which is right above neutral 7.0. If you look at the American diet we are drinking a cup (or serveral in some cases) of coffee in the morning which is at a pH of 4.o, grains (5.0-6.0), cheeses (3.0-4.0) meats (3.0-5.0) and processed foods (3.0). When your body is overly acidic this is when disease occurs. Stress, toxicity, and sedentary lifestyles also play a huge role in overly acidic bodies. When you exercise you are freeing your body of toxic waste and acidity in the body. 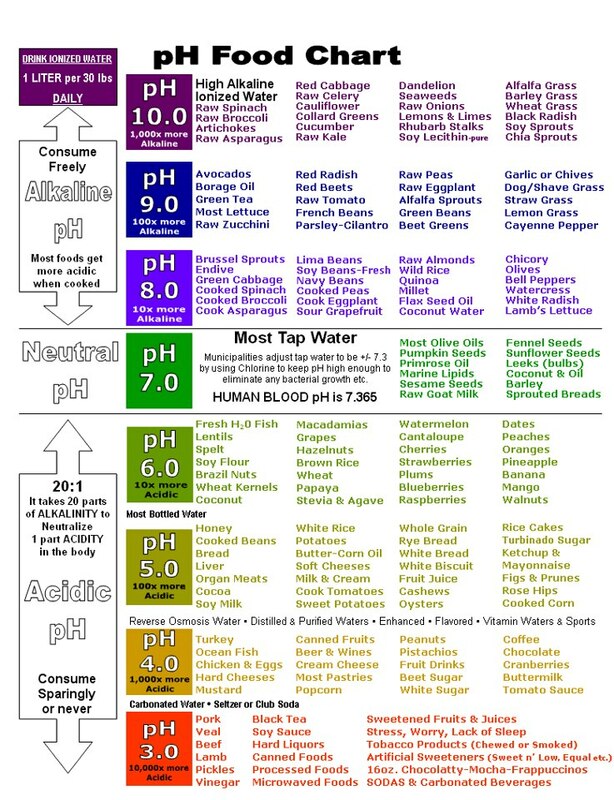 Maintain an alkaline diet and lifestyle to be free of decomposition, decay, low energy, and disease in the body.